What is a CEO Personality and Does Larry Page Have It? These traits are all largely outside the box of a typical CEO personality. Luckily for Page (and Google) it appears as though the new CEO has grown into more of a tactful businessman thanks to Eric Schmidt. And who knows, it may be possible that some of these qualities will come in handy as Page tries to move Google away from bureaucracy and erase complacency. 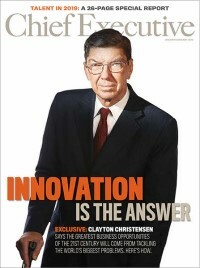 Will he be able to innovate (that’s kind of like rebelling, right?) and lead the company forward? Just when are traditional CEO skills necessary and when do you step outside of the box?